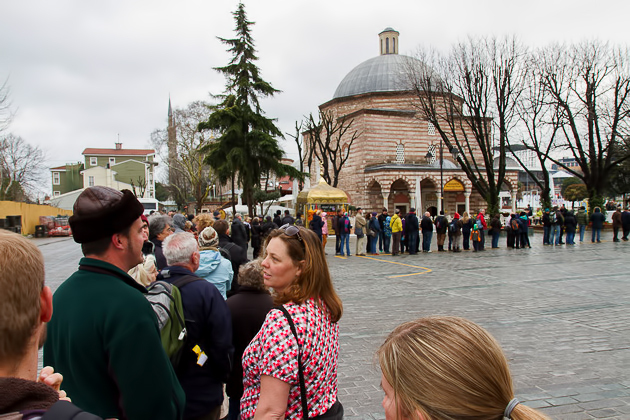 Were we excited to visit the Hagia Sophia? It’s just one of the most legendary buildings on the planet. The largest church in the world for a thousand years. The scene of some of history’s most decisive moments. A breathtaking architectural achievement on a scale unthinkable for its day. Yes, I suppose it’s fair to say that we were excited. 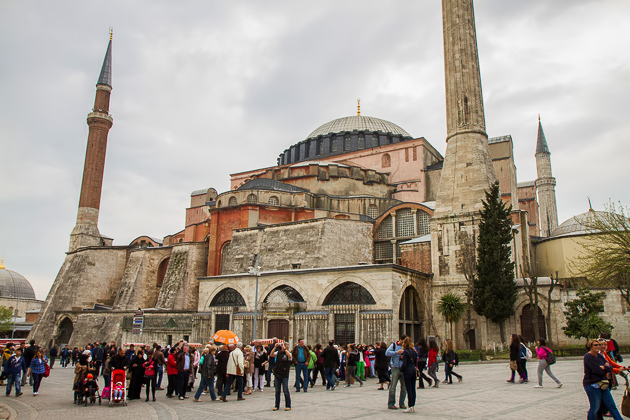 Ever since arriving in Istanbul, I’d been eagerly anticipating our visit to the Hagia Sophia. Scratch that: I’d been eagerly anticipating a visit since 1984 when, at the age of seven, I read about it in the Encyclopaedia Britannica. Now the long-awaited day had finally arrived, and it was every bit as amazing as I had hoped. The instant I stepped inside the Hagia Sofia, the Church of Divine Wisdom, I felt transported into another world. The building we see today is actually the third church built on the site. The first, completed in 360, was destroyed during a riot in 404, and no trace remains. 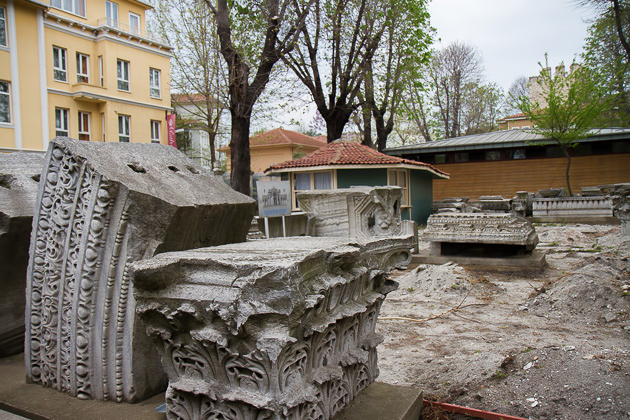 And the second church was burnt to the ground in 513 during the infamous Nika Riots. 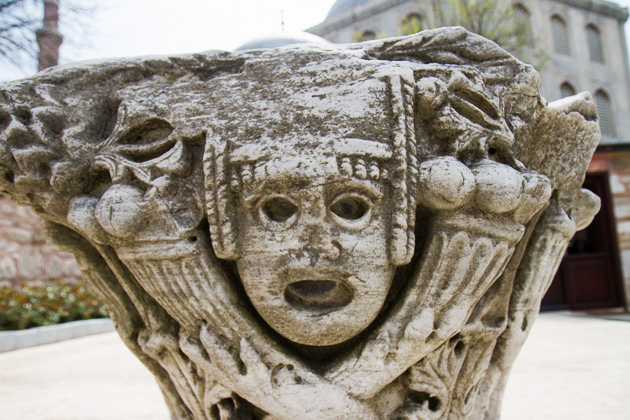 One of worst riots in history, this popular outburst of rage resulted in tens of thousands of deaths and the destruction of half of Constantinople’s buildings. The Byzantine Emperor Justinian, though, emerged unscathed and more powerful than ever. 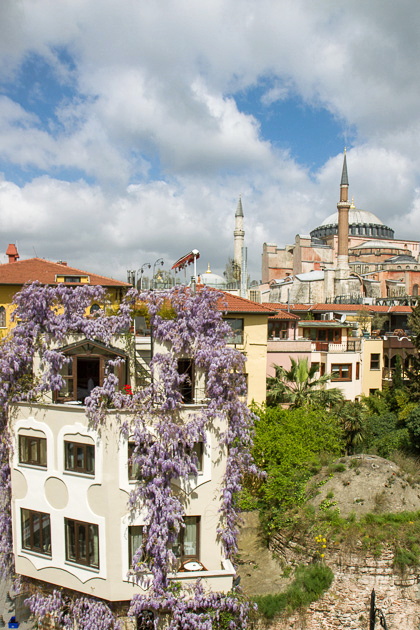 With a free rein to rebuild the city as he liked, he started with the Hagia Sophia. 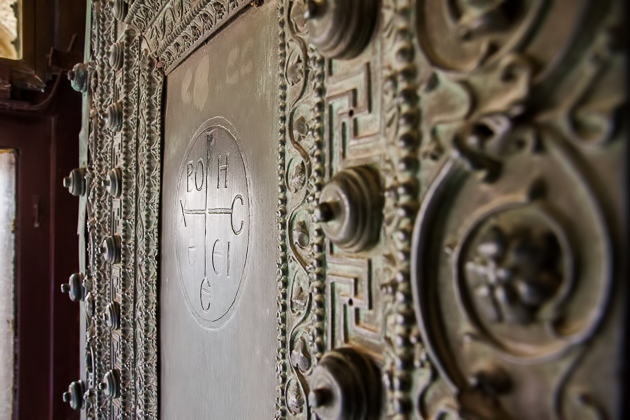 Completed in 537, Justinian’s new church was immediately hailed as an unprecedented architectural achievement. The empire’s greatest mathematicians and physicists had been brought in to supervise and consult on the construction, nothing on the scale of which had ever been attempted. 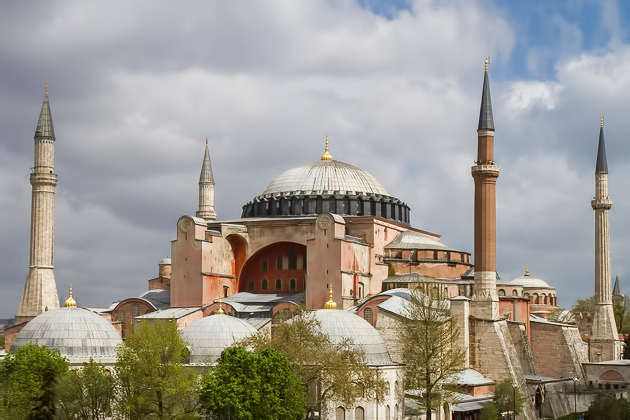 The Hagia Sophia was by far the biggest church in the world, and would remain so for nearly a thousand years. It’s almost unthinkable. Try to imagine how otherworldly and groundbreaking a modern-day skyscraper would have to be, to remain unsurpassed for the next millennium. I don’t actually think it’s possible, anymore. 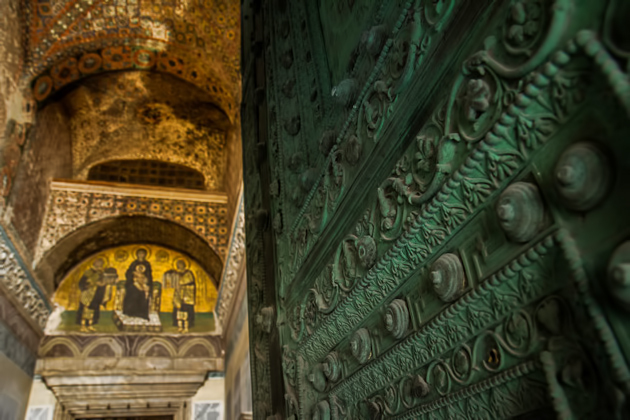 Despite its preeminence, the Hagia Sophia hasn’t been immune to the passage of history. It exists, after all, in one of the most tumultuous capitals on earth, and has had as many masters as Istanbul has had names. 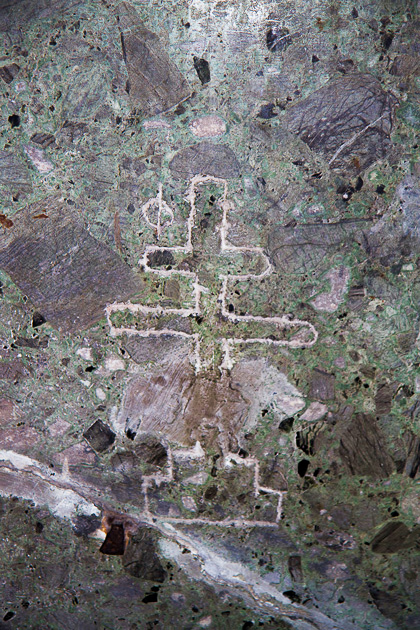 First and foremost, it was a Byzantine church and the center of the Orthodox world. For a brief interlude, from 1204 to 1261, it was converted into a Roman Catholic church, following the Fourth Crusade which crippled Byzantine. The marauding crusaders even installed a prostitute on the patriarch’s throne, in mockery of the Eastern faith. Luckily, the next masters of Constantinople would treat the church with more respect. 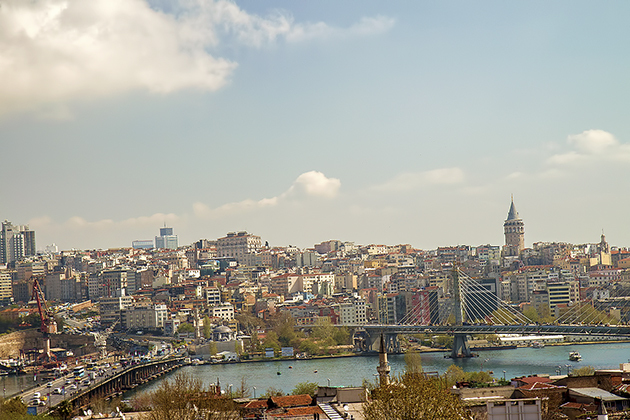 After sacking the city in 1453, the Ottoman forces under Mehmet II the Conqueror enjoyed three days of pillaging, but the Hagia Sophia was mostly spared. 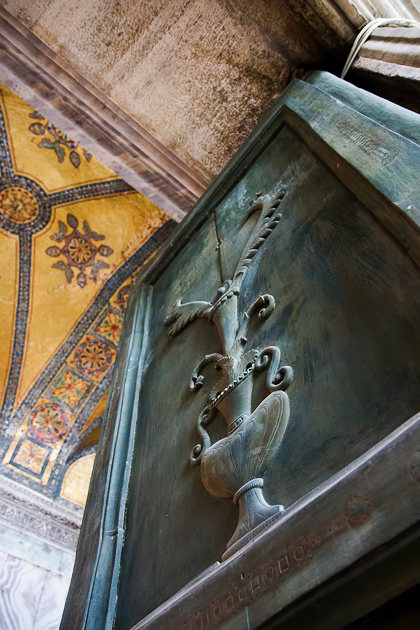 The church had been as famous in the Arab world as in the Christian, and it had been Mehmet’s lifelong ambition to see it converted into a mosque. During the long eclipse of the Byzantine Empire, the church had fallen into a deplorable state, but the Turks restored it to its former glory. 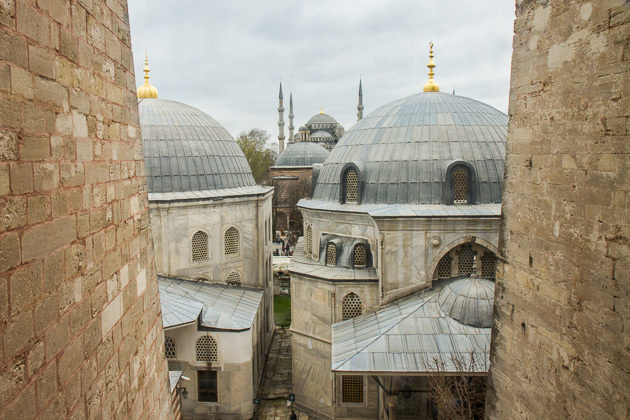 For the next 500 years, it served as the most important mosque in the Ottoman Empire. 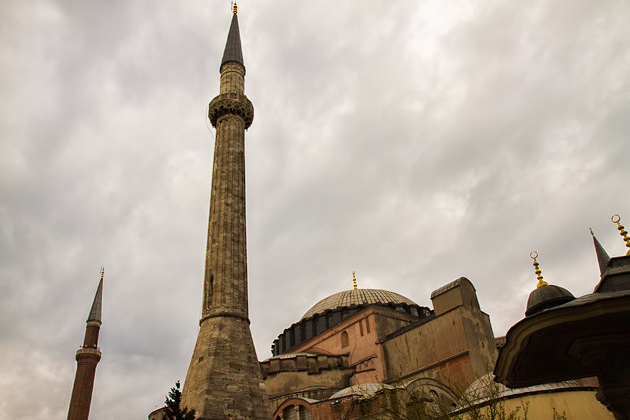 In 1935, the nascent Turkish Republic recognized that the Hagia Sophia was more important as a monument of our shared cultural heritage, than as yet another mosque. 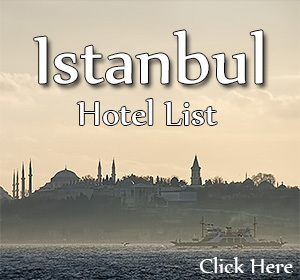 On the orders of Atatürk, it was converted into a museum. A good move, in my opinion. Today, it’s one of the most popular tourist attractions in the world, and certainly among the most impressive we’ve ever visited. 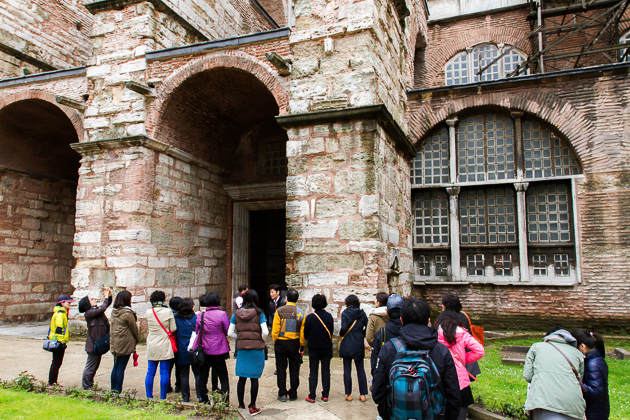 The History of the Hagia Sophia Were we excited to visit the Hagia Sophia? It's just one of the most legendary buildings on the planet. The largest church in the world for a thousand years. The scene of some of history's most decisive moments. A breathtaking architectural achievement on a scale unthinkable for its day. Yes, I suppose it's fair to say that we were excited. Beautiful! I enjoy following y’all – yeah, I’m a Southerner, raised at Ebenezer outside Savannah. That’s how I found your blog (and the Schnitzel Shack). The Hagia Sophia is on my list for some day. I’m happy to hear it meets high expectations.I’m envious of your travels and enjoy the vicarious experiences. When its roof was burned by a fire in 404 and destroyed mostly in a second fire in 414, a great believer of orthodoxy Theodisius II dedicated another church in 415. 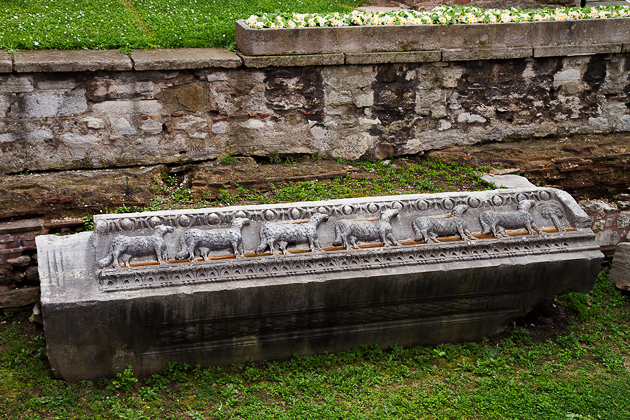 Among the ruins of Theodisius’ church, you can see the architrave of twelve sheep that represents the twelve apostles of Christ in front of the monumental entrance. 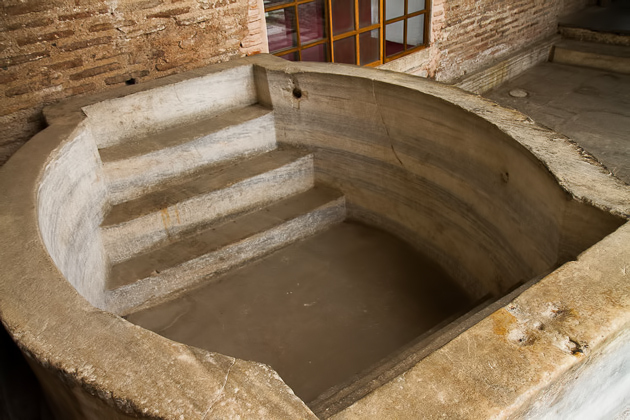 As a step on the way of a secular country, Hagia Sophia was converted into a museum by the order of Atatürk and reopened in 1935.